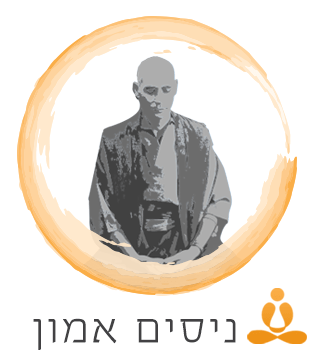 Developed by Zen Master Nissim Amon, Trilotherapy is a therapeutic method that creates inner balance which helps us integrate our personality. This was born out of using basic Zen Buddhist training methods combined with western psychology techniques, similar to those found in Gestalt. Trilotherapy is based on the fundamental understanding that the source of discomfort and suffering we experience in life comes from within rather than from outside influences. Inside each and every individual two different approaches to reality coexist, that of the rational/logical which we experience as thoughts and we call the Mind, and the emotional which expresses itself through feelings that come from the Heart. At some point in our lives, the tension between what had to be done (according to Mind) and what we really felt like doing, led to inner conflict. At that point we lost the inner harmony between these two parts of our- selves and the split began. The wider the separation of these two parts from each other, the greater the discomfort we feel in our lives. Trilotherapy tells us to look at our own Mind and Emotions as our 2 inner children who more often than not don’t get along together. They fight a lot because they want different things and one of them always insists on dominating the other, a situation that worsens when the parent is absent. The first level deals directly with the inner children. The Trilotherapist talks with each of them separately, helping them to understand themselves better and to express their truths and needs. The Trilotherapist is trained to rapidly and efficiently mediate between them and help them apologize to each other if necessary. They then update the "contract" between them. Together they uncover the cause of the imbalance, they then forgive each other and also understand why it happened and get the necessary tools to make change take place. 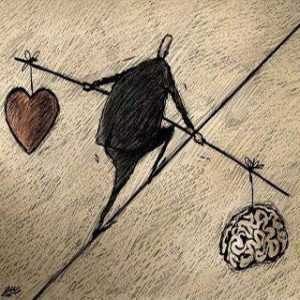 Together they restore the natural and original balance between the Mind and the Heart. The therapist recognizes their struggle and gives them an outlet through which to express themselves. 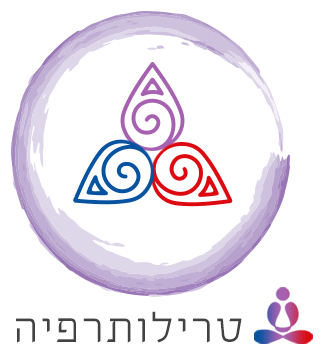 The second level is the awakening of the "I" who is the parent and host of the two "Inner Children". The center figure, the "True Self" that existed before all the conditioning took place that shaped Mind and Emotion. The Trilotherapist is trained to awaken the parent who has been a dormant, passive bystander for so many years while Mind and Emotion ran the show. During this process of awakening the authentic and original self comes back to life and reclaims the role of the leader. When this happens, inner peace is experienced, restlessness is replaced with joy and illness is replaced with health. The more energy and resources one invests in the struggle between Mind and Emotion, the less energy one has for accomplishing one's goals in life. Trilotherapy assists and supports the healing process from various physical illnesses that often develop in individuals whose inner balance has been significantly neglected for long periods of time. Trilotherapy is unique and extremely efficient. It is not the therapist who does the work but the individual who is asked to actively partake in the understanding of their own psychological makeup. Those who follow the instructions will benefit from quick and long lasting results. In Zen Buddhism, this process is called "Enlightenment". The awakened "parent" has the leading role over the two children - Mind and Emotion. The parent becomes the primary decision maker. He or she is open to listen to the desires and needs of both children, but is not governed by them. Eventually it will be YOU who decides what is best and act accordingly.